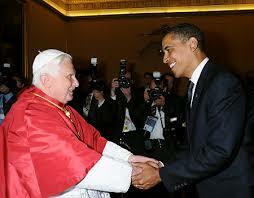 What Happened at the First Meeting between the President of Hope and the Present Pope?? In Pres. Obama’s first meeting with the pope it was commented on openly that Obama himself has spoken of the church (the Catholic church) having a “powerful” impact on his life, even though he is not a member. 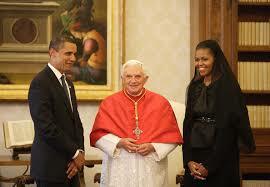 The news article told of the Presidents attempt to court the Pope and the catholic church. And just like many courtships in this world that are not led by God this will lead to an untimely marriage or union between America and Rome! Are you ready! To read the whole article click here. Please Note: if you would like studies from the Bible to show of the danger of the union of America with the Church of Rome , please leave a comment in reply box at the bottom of the page. PLEASE SEND STUDIES A.S.A.P. THANK U.